104 tests, 415 wickets, 25 five-wicket haul. 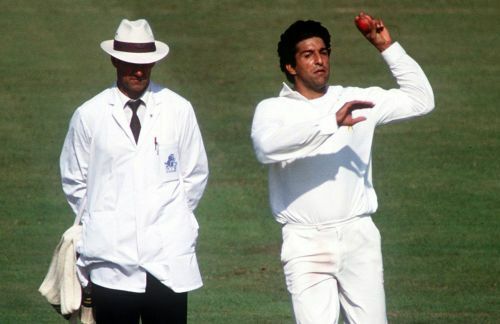 Whenever the topic of greatest fast bowlers comes up, there is one name on everyone's lips and that name is the former Pakistani skipper, Wasim Akram. Akram is often credited as being the founder of reverse swing, a style which troubled batsmen to great extent during the early 90s. The dangerous fast bowler from Lahore, Pakistan was a nightmare for batsmen around the globe in his days and his records speak for themselves. Akram has played the least number of tests of all the mentioned gentlemen on this list but so was his potential that even after playing in far less number of tests, Wasim did win 17 Man of the match awards. His partnership with the fellow Pakistani fast bowler, Waqar Younis is often credited as being one of the greatest fast bowling duos of all time and there is little to argue.